Our company provides a full end of tenancy cleaning service for tenants and landlords. We know that landlords and tenants have high expectations and that the rented property has to look its sparkling best to shorten vacancy periods and help to collect the check-out deposit. 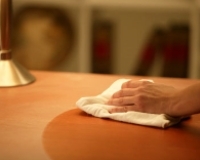 Our housekeepers are fully trained and equipped to deal with various cleaning problems. The can tackle everything from greasy kitchens to tough stains. Our end of tenancy cleaning service includes everything in the lodging from ceiling to floor. Dusting, removing cobwebs, vacuuming, degreasing, are just some of the chores our cleaners will do for you. All cleaning products are brought by our housekeepers so there is nothing to worry about. Our professional cleaners will visit you at the appointed time and a couple of hours later everything will be sparkling. Our company is located in the region of Paddington and our end of tenancy cleaning services can be booked any day of the week. Let us arrange you a helping hand and you will not be disappointed. We promise outstanding outcome achieved in a short span of time without you having to pay through your nose. We are here in Paddington for you. Cleaners Paddington is able to provide quality and affordable end of tenancy cleaning solsutions. Our team will clean all areas of the house or flat you are moving out of. Our claners are experts in this field and have over 10 years experience. After so many years in the cleaning industry, they know exactly what property agencies and landlords look for when inspecting a house and that is why we are able to meet your specific needs. In case we miss to clean any of the areas in your property, you are free to call and make a claim within 48 hours. In such a case, we will send back our cleaning team to do the work again free of charge. Our local cleaners in Paddington are available seven days a week and ready to satisfy your cleaning needs. Many landlords and real estate agents often find that they are in need of a professional cleaning service to help them get a property cleaned when the tenancy agreement expires. The end of tenancy cleaning service our Paddington company provides will ensure that the property can be rented out on the letting market again in a pristine and good-looking state. Over the years we have worked with a number of landlords, tenants and letting agents so we are aware of their expectations and demands. We have confidence in our cleaning skills and we are looking forward to assisting you with the final cleaning. We know that choosing the right cleaning company can sometimes be difficult. Every nook and cranny of the property will be cleaned from top to bottom to help tenants collect their deposits and landlords rent out the property quicker. Our cleaners are hard-working and savvy and know exactly what they are doing so you can trust them unconditionally. They can get all job well done. Our end of tenancy cleaners work to detailed task lists, ensuring that every detail is paid the necessary attention. We are operating in the area of Paddington all week round. Please, pay attention that we do not wash walls. Our team will do the best to clean any obvious debris stuck on walls such as food, for example. However, cleaning of walls such as wiping down the whole area or scrubbing marks is not included in the service. Our company is not able to take the risk of damaging the paintwork. You can include additional services such as carpet cleaning, upholstery and sofa cleaning in the end of tenancy cleaning package. Cleaners Paddington understand that a moving out can cost you a lot. That is why we are ready to offer you our professional steam cleaning of carpets or upholstery at a lower rate, when you combine it with our end of tenancy cleaning service. My family booked a carpet cleaning plus tenancy cleaning from Cleaning Paddington and we are very pleased with the job done. The rented accommodation has been cleaned top to bottom, including all rooms and bathrooms. We will use your solutions again! I would reccommend the local tenancy cleaning solution of Cleaners Paddington beacuse of the quality of their service the the low price I have paid compared to other companies in Paddington. The cleaning team has cleaned my 2 bedroom flat in 3 hours and charged my 110 gbp for the service. I used the end of tenancy cleaning service of Cleaners Paddington a week ago when was supposed to move out of my rented house. They have sent a team of two girls plus a carpet cleaner. All of them have done an amazing job. The property was deep cleaned including al areas.